With his latest executive production efforts, J.J. Abrams has become hit-or-miss. He has worked on two shows that are fantastic examples of great television with deep mythologies and intricate stories (Lost, Fringe) but also struck out with shows that became too procedural and became frustratingly mediocre (Undercovers, Person of Interest). After the first two episodes of Alcatraz’s series premiere, the show feels like it belongs among the interesting Abrams shows and comes off reminiscent of early Fringe episodes. 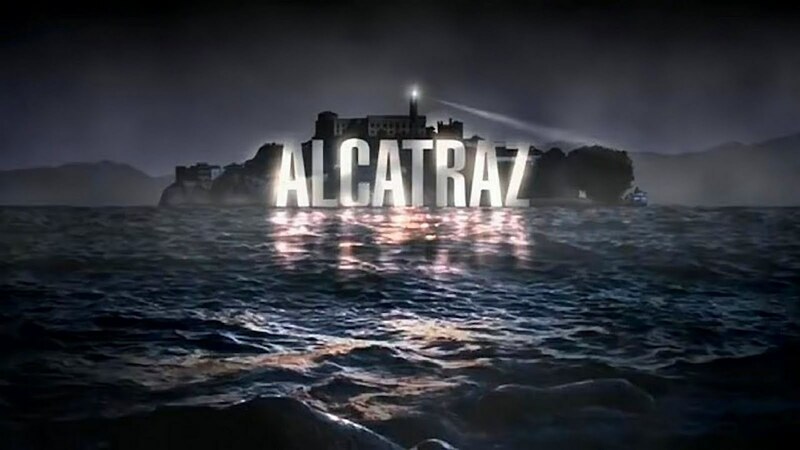 Alcatraz is summed up in its opening credits, where Sam Neill’s voiceover tells the audience that the infamous prison closed on March 21, 1963 and that the inmates were moved to other prisons. However this isn’t what happened. That night, 302 men disappeared. This alone would be weird, but when inmate #2024, Jack Sylvane, arrives in 2012 looking not a day older than the day he was processed at The Rock, things get really weird. When E.B. Tiller, a former warden at Alcatraz is found murdered in 2012, all signs point to Sylvane, even though his death certificate should state otherwise. Working together to figure out this phenomena are Rebecca Madsen, a detective who had relatives at Alcatraz, some as guards, others as prisoners; Dr. Diego Soto, a comic book fan, writer and Alcatraz know-it-all; and Emerson Hauser, the mysterious government agent who knows more about these appearances than he puts on. In “Pilot”, we see that Hauser has another jail to welcome all the seemingly time-traveling prisoners, which Madsen and Soto are not aware of. With “Ernest Cobb”, we start to see the pattern that subsequent episodes will most likely take, focusing on an escapee and trying to catch the dangerous criminals of the ‘60s in the modern day. While this idea may become formulaic, so far the formula is actually pretty darn entertaining. If the show’s creators can keep the characters as interesting as Sylvane and Cobb, the show should have no problem keeping audience attention. Speaking of the show’s creators, the three seem to have enough of a pedigree here to know what they’re doing. Elizabeth Sarnoff was one of the main writers for Lost, Bryan Wynbrandt wrote for the ABC Family favorite Kyle XY and Steven Lilien for the vastly underrated NBC drama Boomtown. The cast here is pretty solid as well. Madsen, played by Sarah Jones—who had roles in Justified, Sons of Anarchy and Big Love—leads the cast. The moral ambiguity of Emerson Hauser, portrayed by Neill, is quite interesting and the typical light-heartedness from Jorge Garcia as Dr. Diego Soto is a nice touch. The show also seems like it will grow quite a great cast of supporting actors as the 2012 prison starts to fill up. While he hardly makes an appearance in the first two episodes, it will be interesting to see what the show does with Robert Forster, and Jonny Coyne as the Chief Warden Edwin James could be one of the show’s most exciting characters. Alcatraz isn’t content with being just a simple procedural (cough Person of Interest cough) and gives a substantial amount of mysteries hopefully worthy of consistent viewing. Who or what is sending these prisoners to modern day is just one of the many questions that the show asks, not to mention the constant questions as to who may or may not be from the past, what else Hauser knows and plenty of others. Alcatraz has been one of the most advertised and most hyped midseason replacement shows, but it holds its own. Over the first two hours of the show, my interest only deepened, excited to watch further to find the answers to questions Alcatraz posits. Sure, it could get to almost Lost-like levels of frustration if the show goes on, but if the show continues to carefully balance procedural elements with interesting show mythology information, Alcatraz has potential to be amongst Abrams’ most interesting television mysteries.